Sony Playstation :The latest flagship of Playstation series, successor of Playstation 3 (PS3), the eight generation gaming console has finally set a date for its release. Boosting with new hardware, design, features, and improve gaming experience. 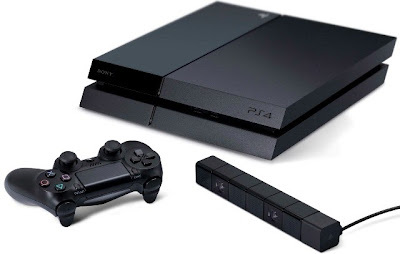 The +PlayStation4 will be released this coming November 15, 2013 in North America, followed by Europe, and Latin America on November 29, 2013. Sony Playstation 4 will be sold at $399 floor price. Competing both Xbox One and Nintendo Wii U, the PS4 is said to dominate the console gaming industry, by delivering fast-real 3D graphics, social media integration, exclusive content features, and a chance to join Playstation Plus and PSNSM membership. If PS3 has Playstation portable partnership (PSP), PS4 will also tag with Playstation Vita (PS Vita), that works as double screen mode, a remote play option. Playstation 4 game developers have decided to release 15 titles between on its release date and by the end of December 2013. And more game title to follow, which is estimated to be 33 titles all in all. The PS4 will both support Bluray and DVD disc, as it has two drives. The controller will feature several output connectors. Its stereo jack (3.5 mm TRRS connector) will support the connection of a headset to allow a user to speak and hear audio simultaneously. A micro USB port, an extension port, and a mono speaker will also be included. 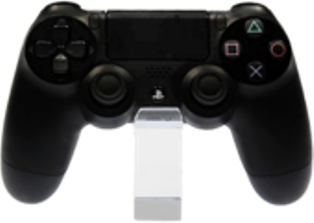 The controller can be charged via micro USB, a dedicated charging station, or the console (even when the console is off). Priced at $399 in North America, €399 in Europe, and £349 in UK. | In case you miss it, it will be first available in North America on November 15, and Europe and UK in November 29. PS4 or Playstation 4 is best gaming console there is, but without the backward compatibility, old PS3 games will be left rotten in your closet. And we badly need our console to be flexible in all kind of games. Hay, Good news for all. Are you like to buy Candle, Food, Cosmetics? I know All people like this kind of product. It is healthy and out of danger. You can use this product.